New models of video cards continue hitting the Russian market. 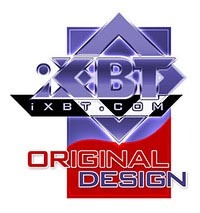 It concerns the new series from ATI based on the RADEON X800 line in the first place. Indeed, all of them are for PCI-Express (PCI-E) so far. However this sector is rapidly growing, the similar X800/800XL/850/700 line with AGP interface has been recently announced. That's why we are soon (probably even in April) going to witness saturation of the market with products of the latest generation. 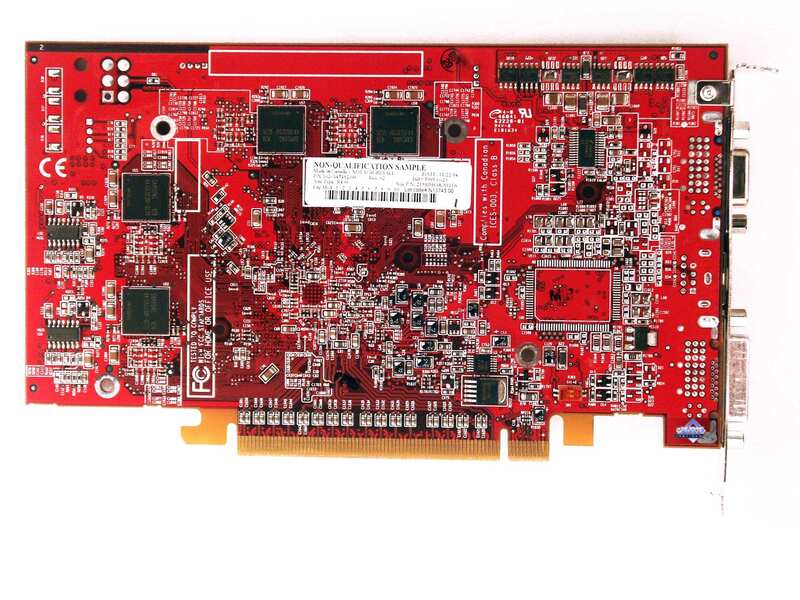 In fact, RADEON X800 had been initially planned as a middle end solution for about 200 USD. Yep, it's hard to believe that a price for a 12-pipe 400 MHz chip would sink so low. But take into account that it refers to cards with 128 MB of DDR1. That is it should be a direct competitor to NVIDIA GeForce 6600GT — the latter had not been intended to use 256MB of memory. 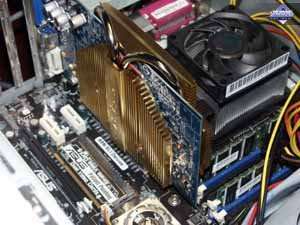 GDDR3 memory raises the price for the 6600GT, while on the contrary, DDR1 memory cheapens the X800. Theoretically, the fill rate is higher in the X800 than in the 6600GT. However, you shouldn't forget two things. 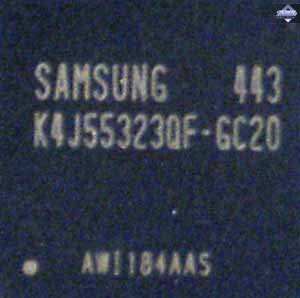 Firstly, the limited memory bandwidth, which is represented in the X800 by 700 MHz DDR1. Secondly, as our tests have demonstrated many times, the per-megahertz efficiency of the GeForce6 series is higher than in the latest video cards from ATI. 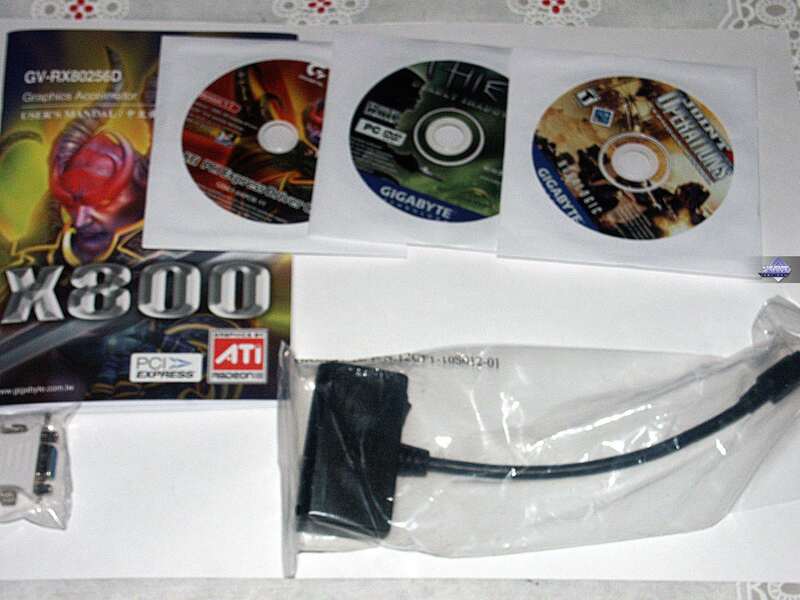 That's why it was very interesting to compare such cards as GeForce 6600GT and RADEON X800 128MB. But! Manufacturers (ATI partners) still didn't manage to launch the 128MB modification of the X800 cards on the market on the large scale. They have taken an easier route from the manufacturing point of view. 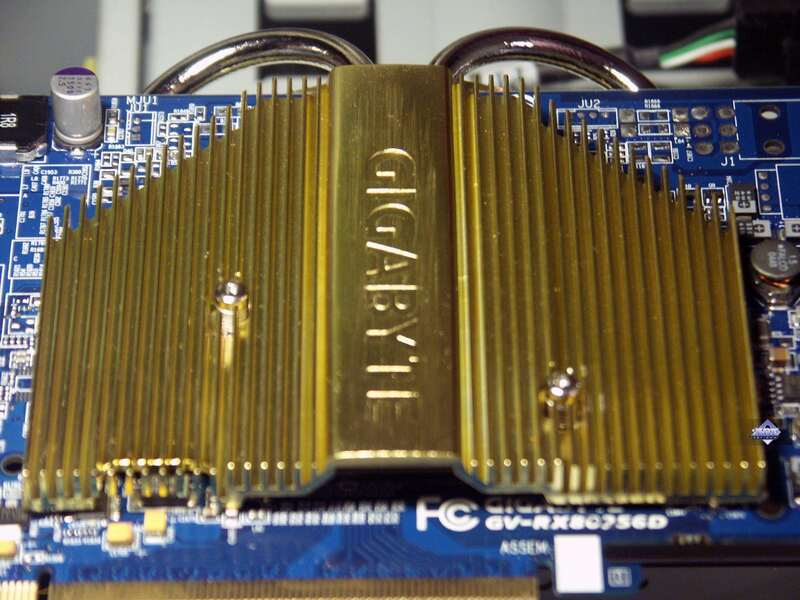 As the PCB in all the X800 (PCI-E) cards is unified and designed for GDDR3, vendors just take the X800XL cards, slow them down, equip them with 12-pipe chips (instead of 16-pipe ones), and get the X800 256MB GDDR3. Such cards had not been planned from the very beginning, so their marketing niche sort of hung poised in mid-air. It's silly now to compare them with GeForce 6600GT, because the price is higher and the memory capacity is different. Comparison with GeForce 6800 is also not reasonable, because the X800 is a tad cheaper. That's why we have to make both comparisons to understand whether the product is good or not. The X700 PRO also offers approximately the same picture. 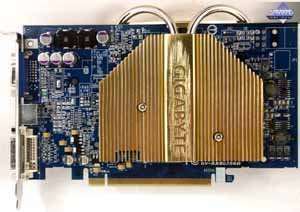 It's equipped with 256MB of GDDR3, which significantly raised its price, though this card should go down with the release of the X800. So, the market is in this reshuffle that makes it difficult to match the whole product lines against each other. I repeat that there are only 256MB X800 video cards available so far. So, let's return to the subject of our review. 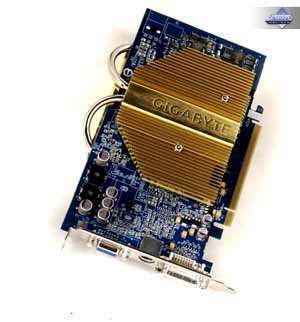 Today we examine an interesting product from Gigabyte. It's interesting not only by its positioning for a more or less mass-demand price segment, but by its cooling design as well. And also by its operating frequencies. Dimensions: 190x100x16x17mm (the last figure is the maximum video card thickness on the rear, the last but one — the front thickness). Output connectors: DVI, d-Sub, S-Video. The video card has 256 MB of GDDR3 SDRAM allocated in eight chips on the front and back sides of the PCB. Obviously it's a copy of the reference design. This may be not obvious enough because of the cooler, but you can trust my word. PCB examination has proved that. Though it's not easy to remove the cooling system. By the way, I repeat that the frequencies of this video card are equal to those of the X800 XL, that is the memory operating frequency is raised very high (initially!). You can see that the designers of the cooling system did their best. However, that's not a new solution. 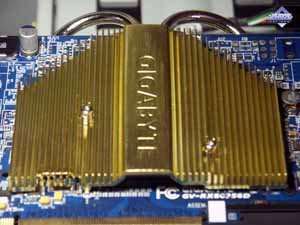 The company had started using such a cooler in its GeForce 6800 AGP. 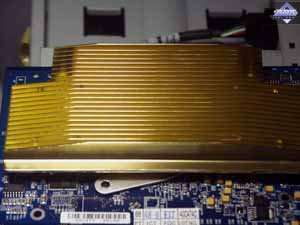 This device consists of two large heatsinks and a base with soldered heatpipes. It's clear that the base is installed right over the core, the heat is channeled away to the rear heatsink via the pipes with low-boiling liquid inside. Despite the massive cooling system dimensions, the front heatsink is rather thin, so the neighbouring slots are available. But the rear heatsink bulges out noticeably, which should be taken into account if there is a chipset with a high heatsink next to the PCI-E slot, for example. 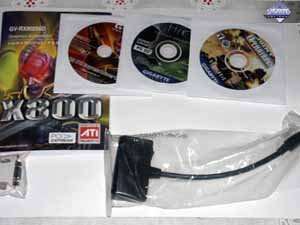 The box contains a user's manual, CD with drivers, several games, DVI-to-d-Sub, HDTV adapters. Let's have a look at the box. It's become a standard box of recently: a bright glossy cover with a huge box made of thick cardboard inside. The entire bundle is arranged into box sections (there are minimum chances that a card will be damaged when transported). The box itself has a handle. CPU: Intel Pentium4 3600 MHz (225MHz x 16; L2=1024K, LGA775); Hyper-Threading is enabled. Monitors: View Sonic P810 (21") and Mitsubishi Diamond Pro 2070sb (21"). ATI drivers 6.497 (CATALYST 4.12beta); NVIDIA drivers 67.02. So, I have already touched upon the efficiency issue of this passive cooler. I installed the card into a closed PC case and removed all additional cooling systems (except for a HDD fan). Then I ran a series of tests at standard frequencies. Here are the results demonstrated in RivaTuner. As you can see, the core temperature is rather high, up to 92 degrees. But we have no complaints. No artifacts have been noticed. The video card endured 8 hours of tests in this mode. I have published above the moment with maximum chip temperature. 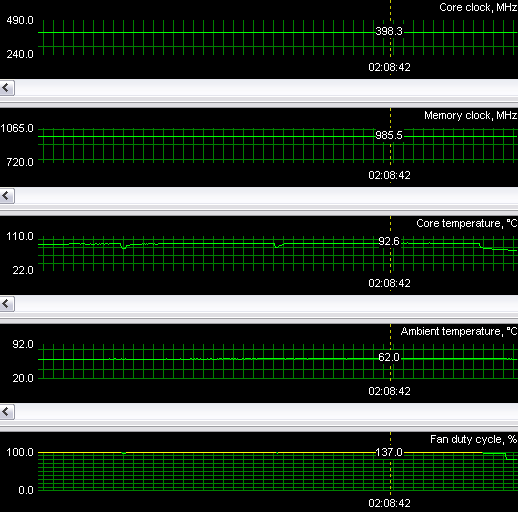 You can see that hardware monitoring tried to set the fan to maximum speed (but it had no fan!) and even more than that! :) The poor card was trying hard to soothe its suffering :), but there was no fan. It should be admitted though that the card was heavily overheated. That's why I recommend installing such a card into PC cases with effective air flow. Tomb Raider: Angel of Darkness v.49 (Core Design/Eldos Software) DirectX 9.0, Paris5_4 demo. The tests were conducted with the quality set to maximum, only Depth of Fields PS20 was disabled. FarCry 1.3 (Crytek/UbiSoft), DirectX 9.0, multitexturing, 3 demo from Research, Pier, Regulator levels (-DEVMODE startup option), Very High test settings. 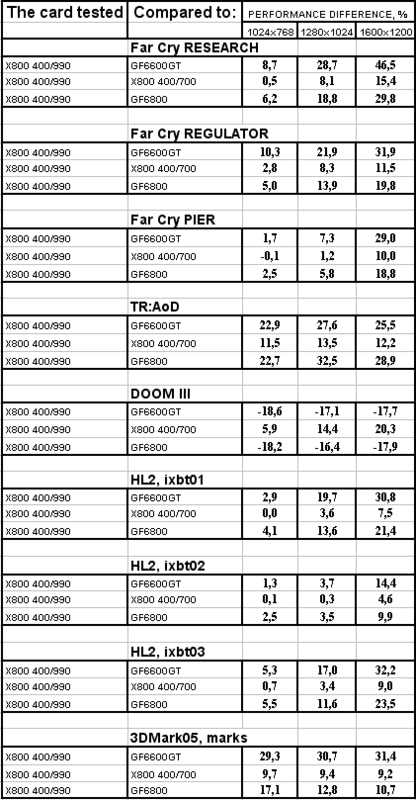 Before our readers can look through the summary diagrams, including a regular X800, I want to publish a percentage table, where you can see how much this product outperforms the reference X800 at 400/700 MHz. If you want to learn the actual figures, here is the link to an XLS file with this data. 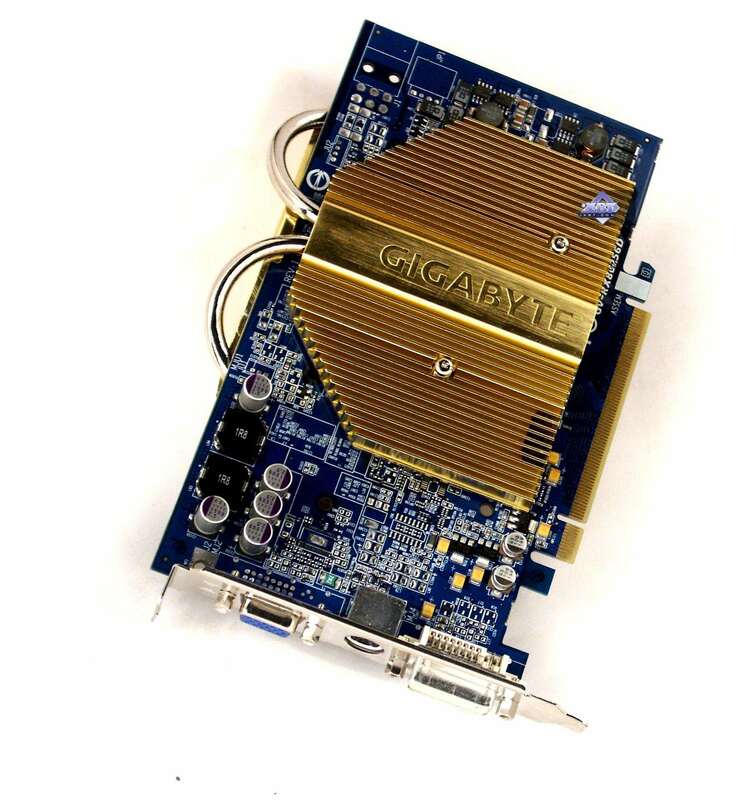 Gigabyte RADEON X800 256MB PCI-E is (almost) an excellent product. Why almost? — There is some danger of overheating in closed PC cases with no fans. In other respects it fairs very well! It outperformed its competitors in almost all tests. But! The pricing situation is bad so far. It costs about $400 (at the beginning of March) instead of promised $200 (let it even be $200 or even $300 for 256MB of memory). I know that it's a new product, that vendors love new products, but the price ruins all its chances. Because GeForce 6800 PCI-E is much cheaper (about $370 in the beginning of March). What concerns this sample, its 2D quality at 1600x1200@85Hz is excellent. It's clear that overclocking WITHOUT ADDITIONAL COOLING is insignificant, with extra cooling it reaches 440/1130 MHz. 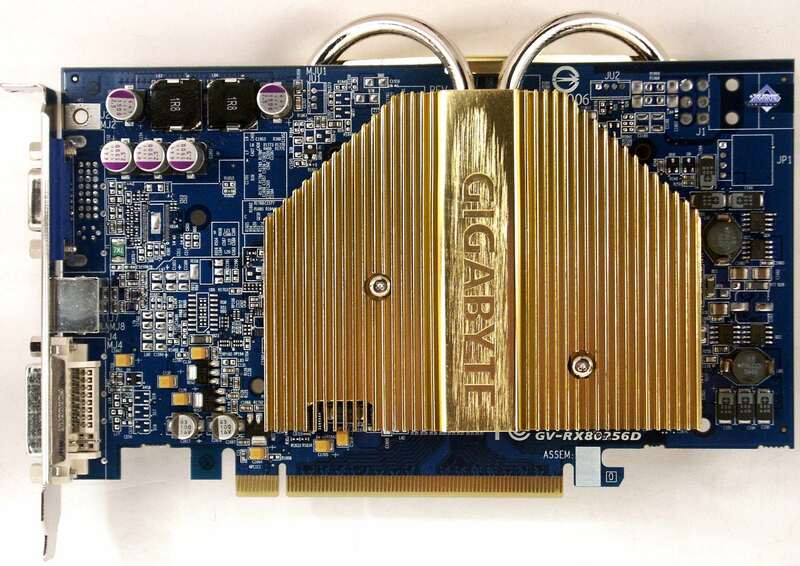 According to the test results, Gigabyte RADEON X800 256MB PCI-E gets the Original Design award (March).